Turn every day into a spa holiday with an invigorating cleanser that leaves every inch of your skin soft, clean and beautifully conditioned. Aromatic formula activates with the heat of warm water—releasing the energizing essences of pure Rosemary, Mint and Geranium. Gentian and Witch Hazel extracts cleanse and refine. Silky lather is gentle enough for the most sensitive skin. 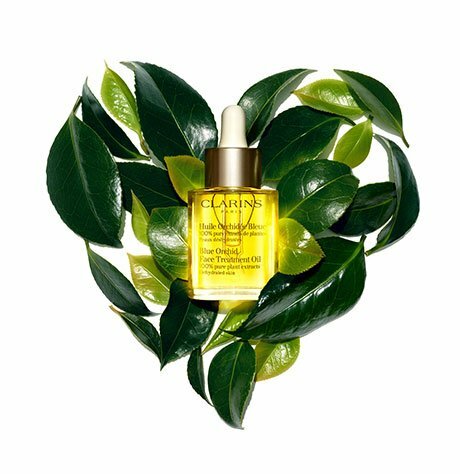 Follow with Tonic Body Treatment Oil and Tonic Body Balm for sensational firming results. Rated 1 out of 5 by Denny2 from Contains sulfates Went to doctor due to skin being overly dry after using half bottle if this. ( I went for other skin concerns too cancerous mole). She asked what I was using in shower if contained sulfates. I said " no" thinking Clarins was natural and plant based. It's not up in reading a day later after doctor peaked my curiosity. I won't buy anymore and face my other bottle away. Read ingredients...uf ANY sulfates a cheap filler and it's what makes it lather so well. I cannot recomend....not all natural... some chemicals. Doctor, upon calling back to tell her my product DID have sulfates suggested I try Welle products or any other at Whole Foods. Welle actually used by famous models. Whole Foods allow nothing in their stores, food to body products with chemicals. Sorry Clarins, I want to treat my skin better. It feels better too, not tight. Glad I mentioned to my doctor. She has gorgeous skin, she won't use Claims body products or Chanel and few others due to chemical fillers. You pay for name and advertising, their bay rental in dept stores, not product itself. Lesson learned....hard way. Read ingredients list!! Rated 5 out of 5 by Bankergirl from Little goes a Long Way! I love this product and always have it on hand. I swim in a chlorinated pool and use it afterward to shower. Highly concentrated so a well worth the money. Rated 5 out of 5 by Fritzey from Heavenly Scent I've been using the Tonic body oil for several years and the bath & shower concentrate compliments the treatment beautifully. A small amount is all that's needed for plenty of suds and scent. Added plus - softens skin and keeps the hydration all day! 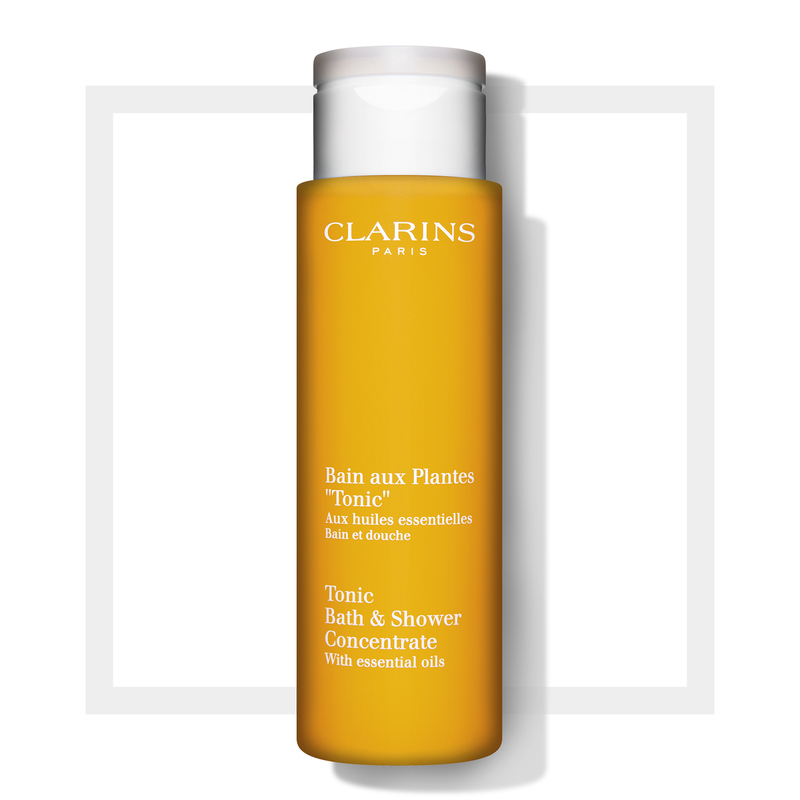 Rated 5 out of 5 by Art1Chick from Love The 'Tonic' Shower Gel I've been using the Clarins body products since the early 1990's and they are just as fantastic today as they were then. There's something soothing and invigorating about this shower gel. It's very rich and small amount goes very far! Right now I'm using it with the Clarins Tonic body oil when I shower at night. My skin feels baby soft and the combined aromatherapy of both products work well to help me sleep well. Cannot say enough good things about these products. Rated 5 out of 5 by Melon from I absolutely love this shower gel. Smells great and my skin loves it! Rated 5 out of 5 by Witch from Best shower product i have ever used I have tried many shower products over the years. I have very sensitive skin from head to toe. This is by far the best body cleanser ever! The scent is light and delightful, as well as an invigorating tingle. I am sold... Forever my body cleanser. Rated 5 out of 5 by Cecille from Luxurious I love this product. I have dry skin and live in a very low humidity area so this bath and shower concentrate with oils is wonderful on my skin. It has a wonderful subtle smell and I love the way it makes my skin feel. In the winter time I follow up with the body oil when my skin is extra dry. Rated 5 out of 5 by NYCFashionista from Energizing Really happy I took a chance and ordered this. It is a great morning wake-up treat.